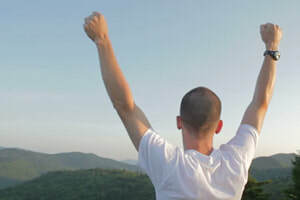 ​Just by quitting drugs, heroin, coke, crack, meth, alcohol, you literally change the course of your life to a new and better life. Better health, better relationships, better finances, better living conditions, a better life – the family life. Don’t give up, keep on trying, keep moving forward. You can do it. You can have a much better life without drugs in the picture. ​Man, just thinking about it, I remember many years ago, waking up on a Saturday morning waiting for the cold chills to come on, but they didn't. No cold chills, no pain, no withdrawals, no nothing. I couldn't believe it. I was finally able to feel my normal body after so many years of using heroin, coke, crack. I can't describe it, I can't put it into words, but it was like the nightmare was finally over for me, and for my loved ones. A whole new day - a whole new world, a whole new life. ​I couldn't believe it. It was an amazing feeling. I was finally free from heroin, and I would never go back again. I will never forget that day - the day I felt normal, the day I felt free. And I want the same for you. I want the best for you – I want you to be free from this drug, and feel your normal body once again. You can do it my brother. You can do it my sister. Believe me, you can do it. You can quit this drug and turn your life around. Don’t give up. Keep on trying. You can do it. ​You have 2 roads to take, 2 choices to make. You can continue to use drugs, heroin, coke, crack, meth, alcohol, and eventually ruin your life for yourself and for your loved ones as well. And if it hasn’t happened to you yet, then eventually, you can lose your job, your home, your family, your kids. Eventually, you can lose it all. ​For a lot of us, using such drugs eventually leads to lying, cheating, stealing and worse. Eventually, you can end up in jail, the hospital and even the morgue. 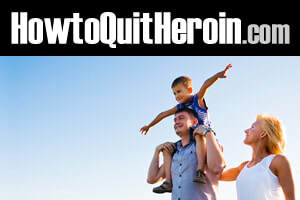 If you continue to use heroin then eventually you can die. Heroin is killing people daily and tearing families apart. If you continue to use drugs then eventually you can lose it all. You can lose your life. But if you quit these drugs and stay clean for good then eventually you can begin to have a better life, and so much more. You can begin to set goals, life goals, create a step-by-step plan on how to achieve those goals and then work on those goals daily until you get to where you need to be. You can begin to improve your health and feel better and look better as well. You can begin to make amends and rebuild and strengthen relationships. You can begin to build new relationships with like minded and like hearted people. You can find love and start a new family or extend your family as well. You can get your G.E.D or go to back to school, start a new career, learn a new trade. You can begin to improve your finances, work hard, buy the things you need, a car, a home and more, and you can begin to save money as well. You can have a lot more money in your pocket when you quit these drugs for good. And most importantly, you can become a better person – a kind, loving, honest person, and you can begin to help others to quit drugs and turn their lives around. You can begin to help others in so many ways. You can help make the world a better place to live. You can have a much better life without drugs in the picture. Better things are coming. I hope you choose the right road, the road to recovery, the road to a new and better life. So please, hurry up and quit these drugs and turn your life around. You can do it. Don’t give up. Keep on trying. Keep moving forward full speed ahead. You can do it. A better life is waiting for you. Please remember that drug addiction, heroin addiction, alcoholism doesn’t just affect the addict, it affects everyone around you. It affects your parents, your children, your partner, your family and friends. It affects your community and society as a whole. It’s bad enough when we hurt ourselves, but it’s even worse when we hurt others and mess up their lives as well. And more often than not, while in active addiction, and even afterwards as well we leave our loved ones traumatized as a result of our addiction. I realize that while in active addiction we’re not really able to see this and do something about it right away because we’re just worried about our next fix and the next fix after that. But trust me, when we start to worry about others, and start trying to do everything we can to end their misery and make life better for them then eventually things become better for us. Life becomes better for them and life becomes better for us as well. Yes, of course, quit drugs, quit heroin for yourself, so that you can have a better life and become a better person. But also, quit drugs for your loved ones as well so that they too can have a better life and find peace and happiness as well. And if you have children and are still using then it’s even more important to hurry up and quit these drugs before it affects your children in a negative manner. Because believe it or not, your children can be taken away from you. A lot of parents think that it won’t happen to them, but unfortunately it does. It happens more often than we realize and unfortunately their lives are changed as well. We can’t do this to our children. So man, if you’re still using drugs, heroin, coke, crack, weed, meth, alcohol then please hurry up and quit these drugs and turn your life around. 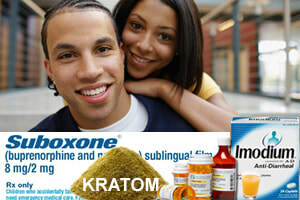 Hurry up and quit these drugs so that you can create a better life for yourself and for your loved ones. Trust me, there’s a much better life waiting for you once you remove drugs from the picture, but you have to hurry up and quit these drugs and turn your life around and keep moving forward full speed ahead to a new and better life and the possibility of having a life that you never thought possible. Do it for your loved ones. And do it for yourself. You can do it.